An absolutely beautiful mug. Well crafted and a really good size. My granddaughter is learning music, and likes to have hot chocolate. I thought she'd like her own name on her mug. The mug has a “four finger” handle. Easy to grip and it holds a good amount of beverage. 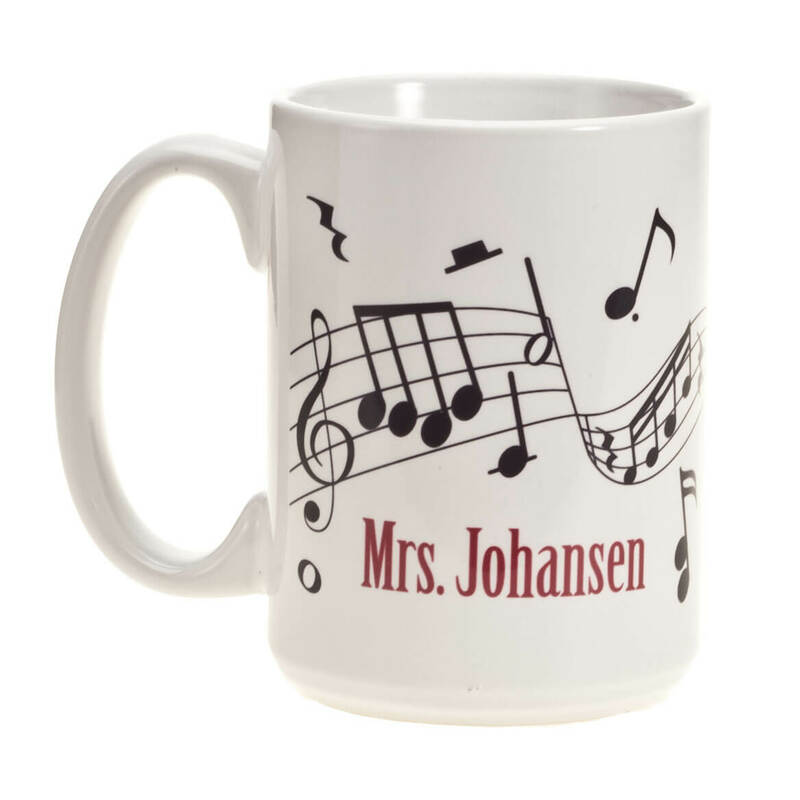 Love the design and you can personalize it. my friend is a long time musician she loved it. Enjoy music and sharing this! For my son who LOVES writing songs! 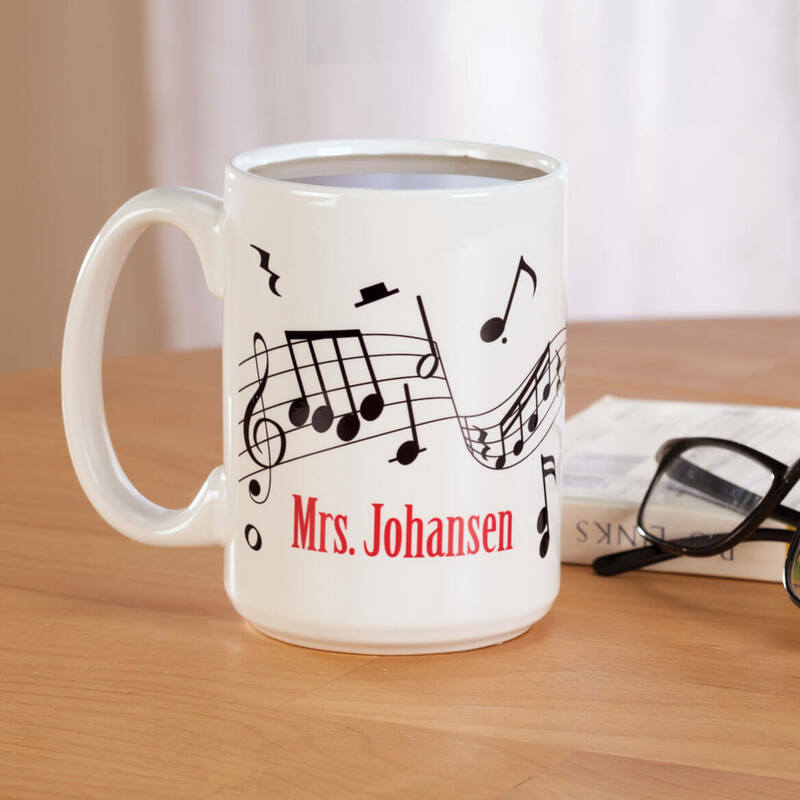 These are gifts for music lovers. A birthday present for my daughter the musician. How do I personalize this mug? BEST ANSWER: Thank you for your question. The item is not set up correctly on our website, we suggest you call your order in, please call 1-800-546-2255 to place your order. We hope this information will be of help to you. Why won't this go to my cart?